he building on kozia 9 was deliberately hidden from the eyes of the pedestrians, located in a backyard, surrounded by a little park and other conterminous facilities. 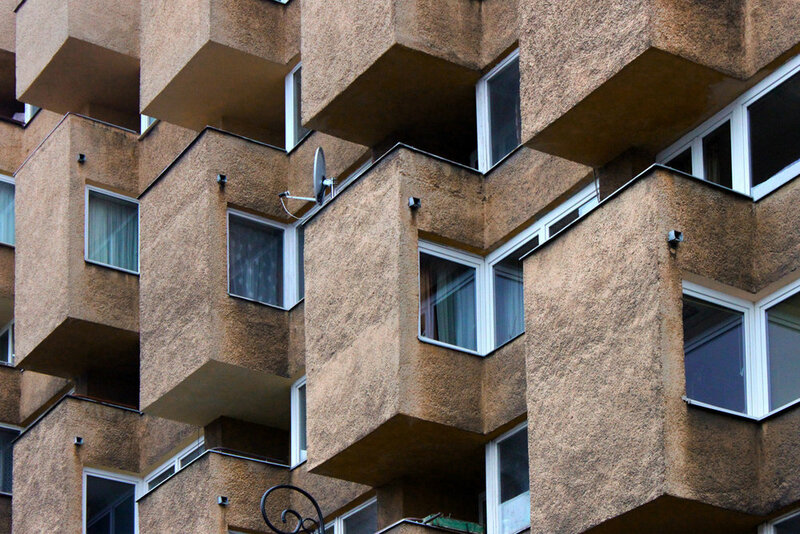 the complex, which consists of 23 dwellings, was dedicated to the people who were in power in the 70s. 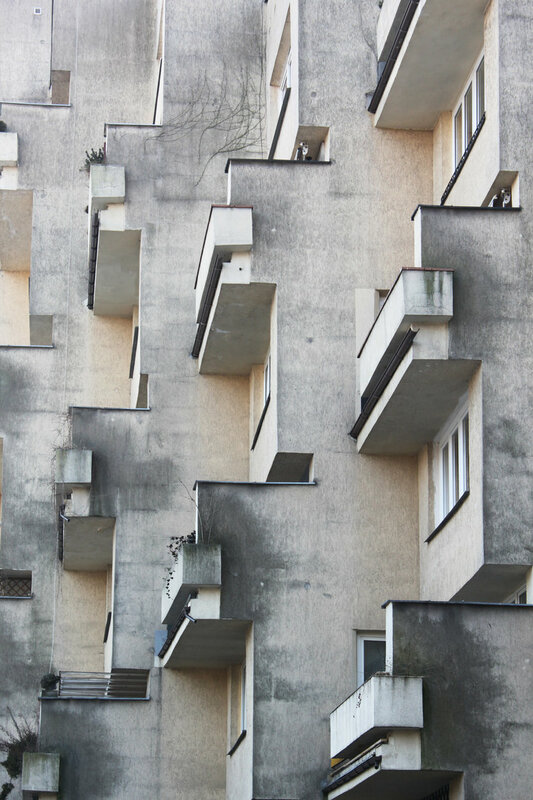 it is an example of post-war modernist architecture and the project was created by the same architects, jerzy kuzmienko and piotr sembrat, of big orange block which can be spotted on karowa 18a. the one on kozia is pretty similar to the younger sibling. the front façade is made of vertical blocks and diagonally rising balconies. the viewer will see a different appearance each time changing the angle. especially the contrast between two sides is pretty surprising. the main side looks just like a bunker. this part of the building is much more harmonious in its structure since the symmetry of the surfaces are stunning. this distinctly modern appearance (on the left) is the work of leszek klajnert built in 1963 which has been completely transformed into a minimalist beauty (on the right) by diener & diener in 2010.
back then, the building was allocated for services such as craftsmanship and hairdressing. but now this modernist pavilion is the location for foksal gallery foundation created in 1997.
at first sight, the observers notice only the gray, raw and rough rectangular block, but after a closer exploration you see the best cloaked rooftop with an amazing city view. the bold edifice is situated inside a yard surrounded by ordinary flats. 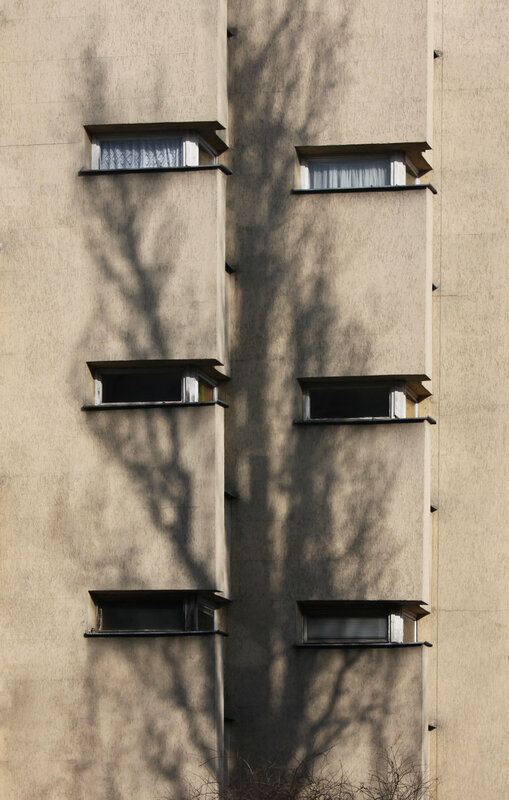 the uniqueness of the building is that it looks like a complete outsider on górskiego street. sometimes you may come across a question about your favourite thing in the hometown. the answer is absurdity. this is what makes warsaw beautiful. 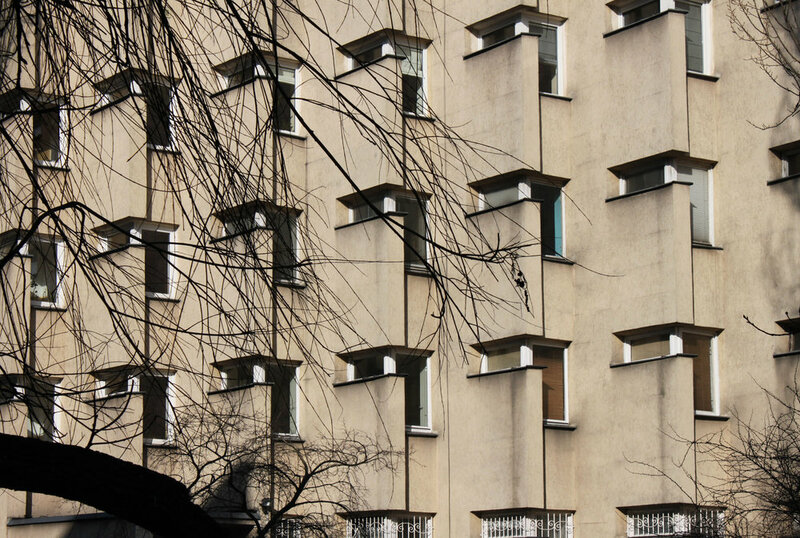 In architecture, function change Tags what makes warsaw so beautiful? can we become tourists in our own cities? how many hidden, unknown or abandoned places are there in our neighborhoods? i’ve been living in warsaw for 10 years, but i just had a chance to discover the old gas plant a few days ago, which amazed me and made me the happiest citizen of warsaw that day. many people associate the architecture of the building with the roman colosseum. being brave or maybe crazy enough help to follow unstable, wooden stairs which lead to the rooftop 21 meters above the ground ensuring breathtaking views of kasprzaka street. to keep on looking around on streets may cause us notice something extraordinary. there are probably a lot of pieces surrounding us that we’re not aware of. to stop being in a hurry all the time may allow us to be explorers in our own cities. In architecture, urban spaces Tags can we become tourists in our own cities?